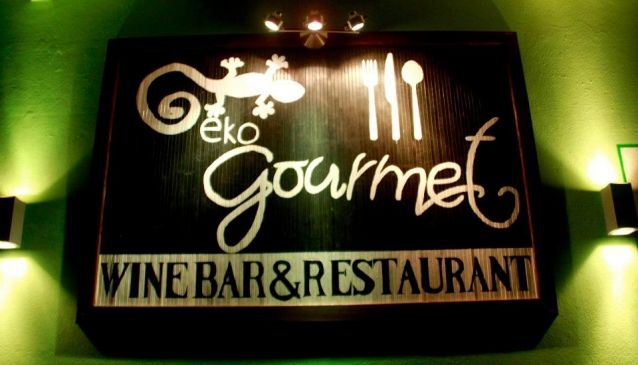 Geko Gourmet, winebar and restaurant is situated within the Djadsal Moradias complex, on the main hotel avenue, around 10 mins walk from Santa Maria. The cuisine is a fusion of local, Spanish and Italian influences which combine to create a varied International menu. There is also an extensive collection of fine wines from around the world to accompany your special meal. The waiting staff is knowledgeable and friendly and will provide recommendations as requested. Geko Gourmet is divided in to the main interior dining area and the spacious outside terrace which is perfect for alfresco dining amongst the stars.